So many things to do... Rockhampton Australia's Beef Capital is a City of lifestyle, diverse in culture with Bull Riding & Rodeo's in an indoor arena at the Great Western Hotel. To the best local fishing in the Fitzroy River and the Port Alma area nearby (Barramundi Fishing Season 1st February to 31st October each year). With Rockhampton City lying just above the Tropic of Capricorn, it has the best climate Central Queensland has to offer. It is the gateway to Yeppoon, Rosslyn Bay, Emu Park, Pumpkin Island, Great Keppel Island (with daily boat tours) and all of the Capricorn Coast. Just up the road to the East, is the Koorana Crocodile Farm, Cooberrie Park Wildlife Sanctuary and Nob Creek Pottery, which are all open daily to the public. Natural attractions include National Parks in the Byfield area with beautiful nature walks in the sub tropical rain forests and 4x4 driving out to 5 Rocks & on the beach. Up to the West is the historic gold mining town of Mount Morgan with a Railway Museum, Historical Museum and gold mine tours daily. Further out West on the Capricorn Highway near Emerald, are the Sapphire Gemfields and Carnarvon Gorge. Also about 24 km North of Rockhampton is the Capricorn Caves, which is open to the public daily for guided tours. Down South on the Bruce Highway is the city of Gladstone, with daily boat tours to Heron Island, Lady Elliot Island & the Reef around Lady Musgrave Island, and is near Agnes Waters & 1770. Rockhampton also boasts the Central Queensland Military Museum, Archer Park Rail Museum, Rockhampton Art Gallery, Pilbeam Theatre, Dreamtime Cultural Centre, Rockhampton Heritage Village, Kershaw Gardens and the Rockhampton Botanic Gardens, which has a FREE entry Zoo with mid afternoon daily feeding of the Gorillas and native Australian animals & birds. 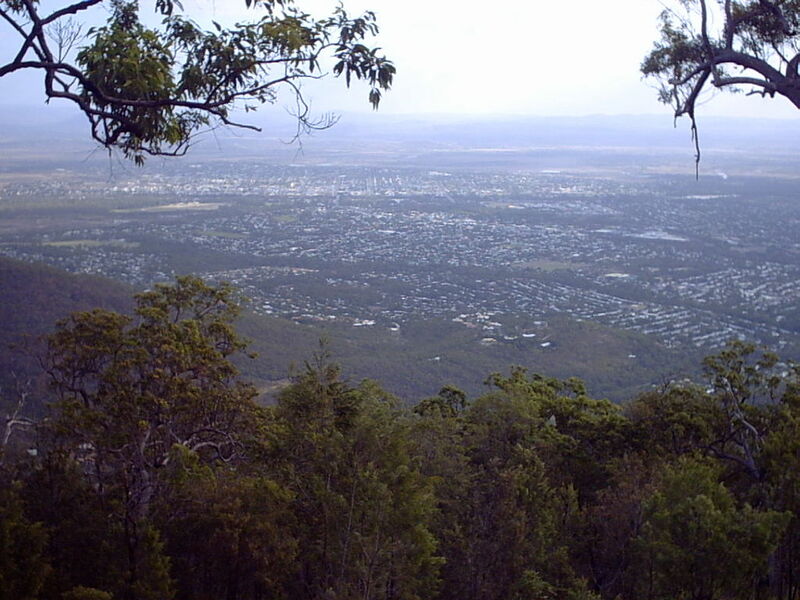 Photo taken at the Mount Archer Lookout.